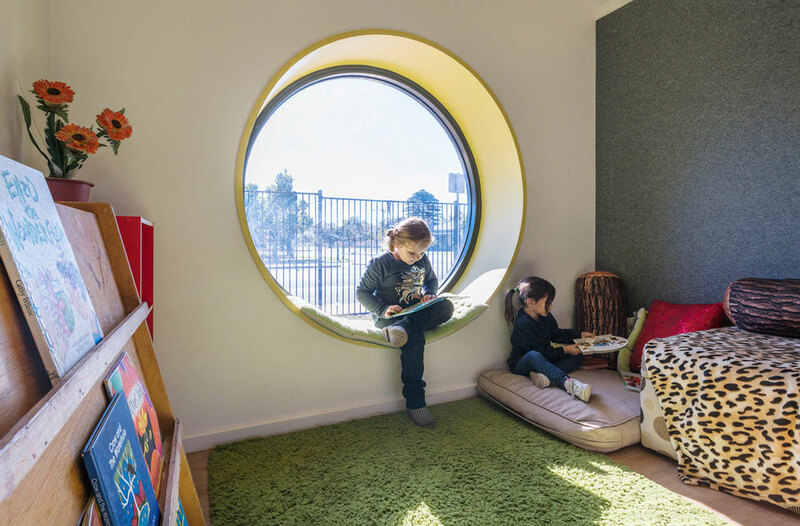 Hayball’s latest pro-bono design project, The Mooroopna Kindergarten for Save The Children, officially opened last month complete with an inspiring smoking ceremony. This important project satisfies the dual ambitions of significantly improving the provision of the best possible start to the lives of vulnerable children, as well as exploring creative, engaging and flexible uses of space conducive to early childhood learning. The project involved extension and refurbishment of the poorly functioning existing facility. The renewed kindergarten now boasts a second multi-use classroom, a new storage shed, a larger and more functional internal kitchen space, a ‘kid’s kitchen’, and a welcoming reception area that allows staff to meet and support parents and carers. There was also an important landscaping element to the design that was vital in providing engaging and inviting spaces for play-based learning as well as an integrated kitchen garden zone that encourages learning experiences and supports access to fresh produce for families.